For this, my 30th blog entry, I wanted to shift the format a little to allow for public input and commentary. Previously, I’d suppressed the option of adding comments to a post because I thought it looked too ‘messy’. However, I am interested in receiving direct feedback on my blog posts. A big thanks to everyone who has given me a shout-out on social media thus far in the game! Perhaps because it’s currently late September and everyone around me is in ‘back to work’ mode, if feels strange for me to be putting my feet up and leisurely writing up a blog post early on a weekday, and even worse a Monday, morning. Granted, I have a few errands to run and there are always projects that can be fabricated out of thin air – but I still have to keep justifying the current state, telling myself that I worked a full time job over the summer and that a one-day vacation is warranted and perfectly acceptable. It just feels like wasted air, dead time, moments of my life that I will vigorously regret losing several years down the road. Sometimes a day of no schedule and no long-term to-do list can be beneficial. The open time that represents “empty” space is full of thinking, of reading, of catching up on what is going on in the world. It allows the mind to wander, and as Mike Tannenbaum describes in his post here, it is important to “slow down, take life one day at a time, and become comfortable perpetually exploring our identities, passions and lifestyles”. Essentially – don’t rush into the next step/milestone in life; instead, take a moment to reflect on how your current aptitudes and interests are fueling your mental and physical energy levels. My hope for everyone on this Monday, and this week as a whole, is that they find a way to slow down and open their mind to the possibilities of their future. 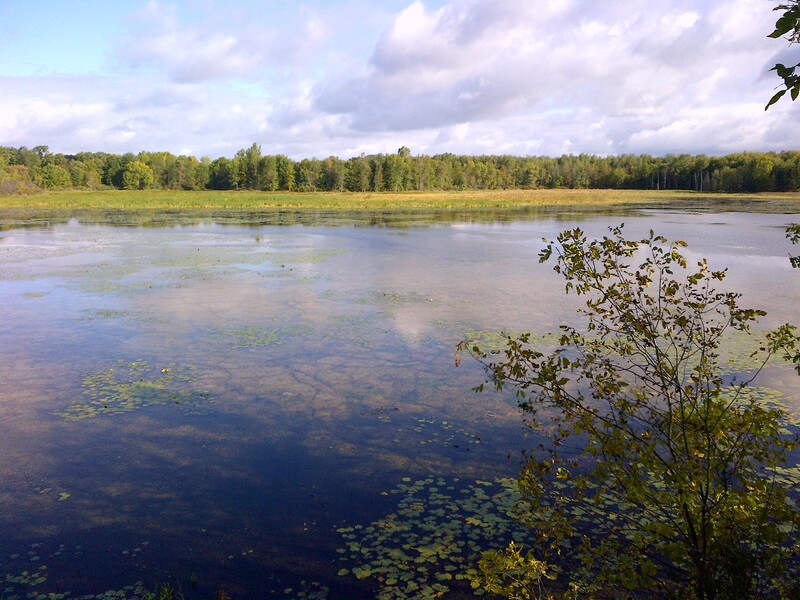 For me, a reflective walk in nature is the best way to achieve this – though everyone will have different ways of tapping into this rich source of mental fuel (see the image of Bannister Lake Conservation Area to the left for inspiration in your own fall hiking activities).